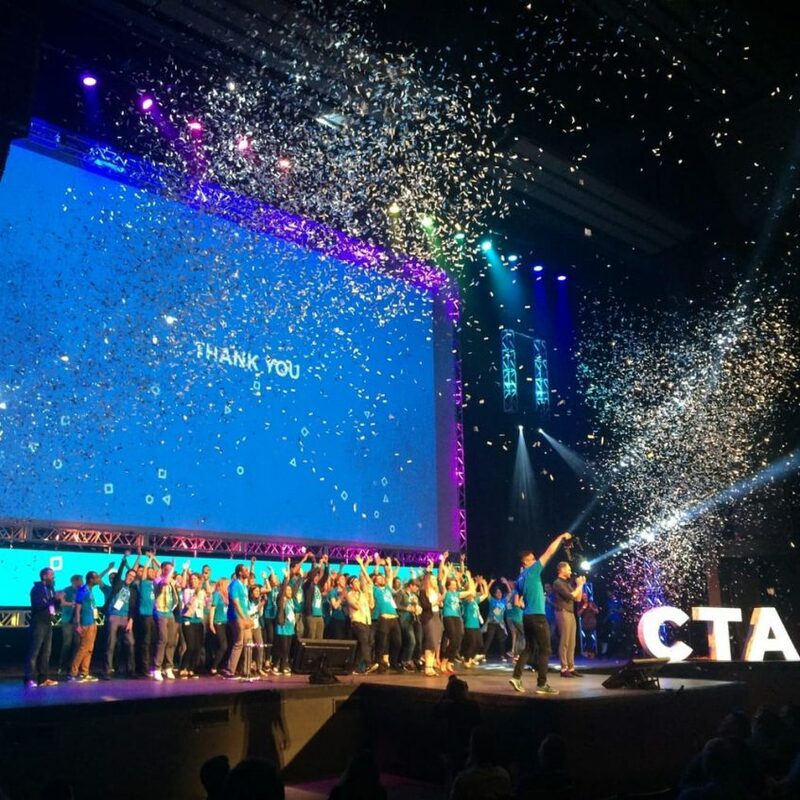 Last year in June, we had the great experience of attending the Unbounce CTA Conference. This conference will be in Vancouver once again this June, from the 25th to the 27th! It was the 3rd year that our company attended this conference and I encourage every digital marketer to attend it at least once. Before I continue, I should mention that we are not sponsored by, or affiliated with any of the companies mentioned in this article. How Will The Unbounce CTA Conference Help You? Well, if you believe in learning about the latest digital marketing tactics, discovering new software and networking with some of the most influential thinkers…then you might want to read on! Unbounce CTA Conference attracts the most cutting edge information in the digital world today. If you want that extra edge, which, as an online marketer, you know can mean the difference between growing the business and losing it. Unbounce’s 2016 CTA Conference was about being exposed to new information and learning why landing pages really work. The lineup was packed with heavy hitters offering invaluable advice. Last year’s hosts were Ryan Engley, Dire of Customer Success at Unbounce, and Chelsea Scholz, Unbounce Campaign Strategist. Amy Harrison – Is Your Copy Selling You Short? For the sake of keeping your attention, I’ll only talk about a few of the presenters that stood out for me. I should mention that I took away something crucial from each and every one of the speakers. So thank you to everyone who presented! The only one who can pull off wearing a kilt to a conference! Oli gives it to you straight and is known for ripping up poorly designed langing pages. Even though he doesn’t sugarcoat his opinions, he provides an excellent breakdown of the conversion equation, and how it combines conversion research, data, online tools, and calculators. “Clarity, is the most important part of conversion”. Ask yourself if you can figure out what the page is about in less than 5 seconds. She shared simple yet effective tips that we can in turn easily to communicate to our clients. This helps us give our clients the steering wheel so they are in control of what they are looking for. Sure, most of the stats that we set up in a custom dashboard are over of our clients’ heads. But, if we can help them grow until they can eventually hire someone who can use this data as well, it will be there for them! Simple examples included creating and using the annotations in channel grouping and referral exclusion list. Rand & Sandro hanging out in the outdoor plaza. Also known as the Wizard of Moz, it was super cool meeting him and I had the opportunity to chat with him outside of the event. During his presentation, he covered simple tips like adding internal links with keywords or creating content with low competition keywords… Too much to list. Uncovering What Works is Hard! Slide presentation from Rand Fishkin. In this image, Rand explains how testing new titles and descriptions are small changes to make but can have a huge impact on your campaigns. Rand Fishkin’s ‘Every Tactic Can Be Broken Down into:’ slide. Quite a bit of work is involved in setting up the a campaign. Kevan had some great tips to share. Things like: “How he gets one email subscriber per day using Twitter Cards”. Using Linkedin Groups for networking vs joining groups and listening for questions, and how Facebook Card Ads are cheaper than Adwords. Andre spoke about principles we need so we can scale our business. His explanation included an analogy of conducting a famous psychological experiment called the Stanford marshmallow experiment: What happens if you give a child a marshmallow and a choice to eat it right away (instant gratification) or wait to get two (delayed gratification)? What stood out the most was how this concept related to websites and how the same feeling is controlled by the same side of the brain that triggers dopamine, or instant gratification. Not only were attendees exposed to the brightest minds in the business, we were also given the opportunity to learn about new industry related software. We’ve been using call tracking since 2013. When you need to prove that your marketing efforts actually work, we recommend call tracking. CallRail provides call tracking and analytics to more than 50,000 companies and marketing agencies in North America. 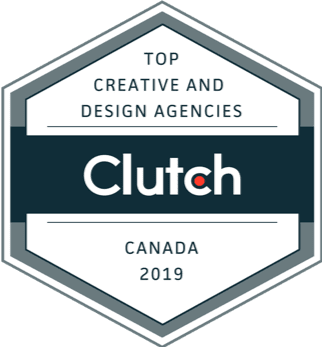 Their intuitive software helps data-driven marketers optimize the performance of their advertising campaigns, increase sales effectiveness, and improve customer retention. Learn more at www.callrail.com. If you ever had a client that isn’t sure if your marketing is working, prove it to them by adding call tracking. You’ll discover the number of calls they miss or can’t answer, what their customer service is like and if the call is a good lead or not. Call tracking is offered in all of our marketing proposals, as it should yours. Simply put, Buffer is a social media marketing software that makes it very easy to share any page you’re reading. They have neat plugins to make it easy for your website to share by adding hover buttons, and they offer browsers extensions to make it easy to manage — you can link social accounts and schedule posts with it as well. They offer analytics and have apps for Android and iOS. Moz is SEO software that sells inbound marketing and analytics. Moz is essentially an all-in-one tool for SEO professionals. Their blog is excellent and their learning portal is full of great information for anyone interested in learning SEO. Qualaroo makes surveys easy. They offer customized options, targeted questions, exit surveys and more. Email marketing platform that offers automation, testing and analytics. They have a ‘drag and drop’ feature that makes design easy, or you can choose from hundreds of templates. Another great Canadian company. Klipfolio is dashboard software for agencies who want to monitor their business health. It allows businesses to connect social media followers, Google Analytics, and email marketing software. Unbounce CTA Conference attendees playing life-size foosball. Sure, learning about trends and software is great. But one of the other amazing benefits to attending this conference are all the great people you get to meet. Networking can be tough — you’re either great at it or you fear it. This conference makes it easy for everyone, and you could see the bonds being built over the two days. Whether it’s from hanging out in the plaza, ordering food or playing a game of life-size Foosball, or you’re in a booth trying to collect Unbounce Cash for prizes…you are bound to meet new people and possibly make new friends! From out-of-towners to other agencies and presenters, events like the Unbounce CTA Conference bring like-minded people together. We met several locals from Vancouver and surrounding cities, as well as people from Toronto, Chicago and Dallas, even as far away as Belgium and Germany. Putting on an event this size isn’t easy. Organizing the entertainment and food, making sure the presenters stay on time and that their slides work, getting sponsors, doing the setup and take down, it all takes months of planning. I’d like to personally give a big round of applause to the Unbounce for the smooth three-day event! They even ended the event with a pub-crawl featuring Gastown’s favourite bars! Brilliant! Stickers (normally not a big deal, but when you have kids it’s wicked! ), t-shirts, dog gadgets, water bottles, sleeping masks (not shown), socks, sunglasses, battery charger, Squish Candies. The Unbounce CTA Conference took an inventive approach to getting the swag — the option to participate in their Unbounce app to gain points so you could shop for all the cool stuff. I’m proud to say that I love my socks and t-shirts! I wasn’t quick enough to get a charger or water bottle, but I’m super stoked for getting two t-shirts for the kids, a bag full of stickers, sunglasses, Squish Candies and all the grub available throughout the days! The Unbounce CTA Conference had so much to offer and while I learned a ton, I had my ‘aha’ moment I’d like to share. I am fortunate to say that we’ve grown our business year after year. I thank all of our clients for taking a chance and trusting us with their marketing and online presence. We also couldn’t do what we do if it weren’t for our stellar staff and their commitment and hard work (Thanks guys! ). We’re at a point where we need to start thinking about the next five years and what is right for our business. The biggest thing I got from attending the Unbounce CTA Conference was to start focusing on my business. All of the ideas and strategies I think about for our clients could be implemented in our own business. We need to set up goals, create ads and marketing tactics to attract more of the clients that fit our business model. For starters, we rebranded ourselves and launched a new website, even though everyone we met liked our old site :). We started sharing more quality content, and distribute it much better. We’re even investing in our own PPC and remarketing campaign. It’s funny that it’s taken us so long to turn our techniques back on ourselves, but now is the right time. We’ve done a great job of building business for our clients and now it’s time we take a minute for some self-improvement. These past 5 years have been a wild ride and we look forward to the next 5! Were you at the Unbounce CTA Conference? Are you attending #CTAConf2017 ? Share your story and tag us @stiganmedia or drop us a line to reconnect!